My name is Yasmin Fudakowska-Gow. I am yoga teacher of nearly 20 years and an accredited naturopathic doctor specializing in ayurvedic medicine. I am also a mom, writer, speaker, world traveller and brand ambassador for several incredible companies. I am best known for completing 108 Days of 108 Sun Salutations and being the first woman to break the Guinness World Record for the longest yoga marathon lasting 32 hours. This initiative in 2010 made headlines worldwide and raised more than $15,000 for charity. In 2008, I had the privilege to tour every province in Canada and 22 university as a speaker with environmental activist David Suzuki and best selling author Brendan Brazier. What a great adventure! I have also managed four yoga studios and owned two, including my current space Loft108. I am meticulous about everything I do. I spent years creating my yoga video series, which became best sellers, but more importantly material that I am proud to share with the world even ten years later. I know beginners and advanced can benefits from these videos as well as from my Vinyasa Yoga guided audio practice and Introduction to Ashtanga Yoga Manual. Life is about change. Travel cultivates inspiration and home is where I create. My home base is still Montreal, but we travel often for work and pleasure. My husband, Arturo is from Panama and is passionate about travel and adventure. Before he turned two-years-old, our son Koji had visited more than 20 countries and been across three continents. We are so grateful to be entrepreneurs with the ability to work from anywhere! This said, we also love our home in Old Montreal and our beautiful 2000 sq ft studio, Loft108. Here, we host a variety of regular events ranging from intimate weddings to photo-shoots to meditation retreats. 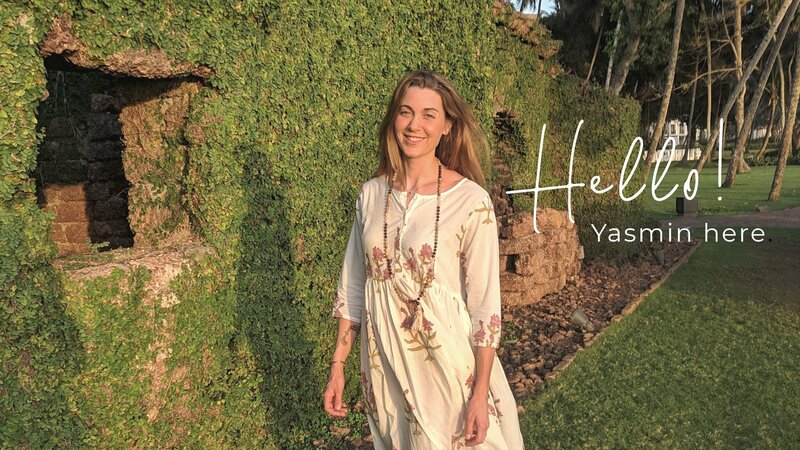 This is also where I have my ayurvedic clinic, teach workshops and lead my Therapeutic Yoga & Ayurveda Immersion and yoga teacher training programs. Loft108 is magical. The vibe envelops you with creativity and love and you won’t want to leave. Come visit me here next time you are in the area! Ahuge part of my teaching and coaching is to equip and empower my clients and students to improve their lifestyle through simple routines that help release unnecessary stress, foster deep healing and make everyday something worth celebrating. To summarize my life’s mission, I would say this: I seek to equip and empower people to expand their potential, reach great heights and thrive in all areas of life; I also support entrepreneurs particularly in the wellness industry and aim to cultivate community wherever I go while promoting environmental sustainability and social justice. I was born Nov. 21, 1981 and I can honestly say I had a great childhood. With two physical education teachers as parents, I went camping, built forts, collected superhero cards and performed my version of Flash Dance and/or Dirty Dancing during every ‘show ‘n tell’ throughout kindergarten and grade one. While my competitive athlete father taught me how to set goals and properly throw a ball, my mother instilled in my brother and me an appreciation for art and culture. My mom also introduced me to meditation, holistic healing and activism, which set me on the path I am now..
My maternal grandmother, an artist and clairvoyant, also enhanced this interest in spiritual development, as she was a Sri Sathya Sai Baba follower and would sometimes bring me to the Sai Baba Centre in Montreal. With the help of my vivacious mentor, Gigi Cohen, I was introduced to yoga at age 14. It was the perfect balance between spirituality, dance and gymnastics— all things that inspired me. Ashtanga yoga teacher, Mark Darby, was my first instructor. I was an awkward teenager—tall and clumsy. Darby was strict with me, and from him, I learned the importance of tapas (discipline and commitment) and became more coordinated. In 2001, following two months of intensive study in British Columbia with a lovely kripalu yoga teacher named Claire MacDonald, I began leading kid yoga classes. I then started teaching hatha yoga to adults, and participated in David Swenson’s 40-hour Ashtanga Teacher Training in 2002. A few years later, I graduated from Concordia University in Journalism & Communication, and amassed more than 1500 hours of yoga workshops and teacher trainings with various senior instructors, including Mark Darby, Donna Farhi, Hart Lazer and Chuck Miller. I have taught yoga on five continents, presented at seven international yoga conferences, instructed professional athletes and released five yoga DVDs, plus an instructional audio guide. I bought, developed and sold a yoga studio— the one Ms. Cohen used to own—where I took my first yoga class with Darby. In 2010, I set out to explore the limits of my yoga practice. I practiced a yoga mala—108 surya namaskar or sun salutations—every day for 108 days. (See my blog.) It has been the most amazing journey of my life so far. 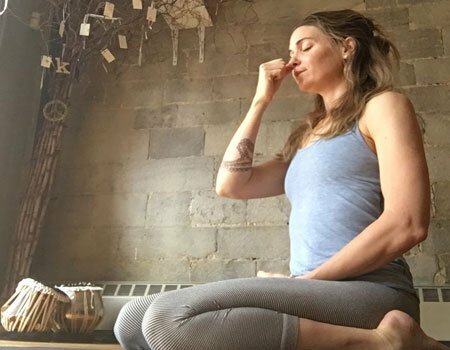 I met incredible people in the yoga community who helped me raise more than $15,000 for three charities — Canadian Institute for the Blind, the David Suzuki Foundation, and the Stephen Lewis Foundation. At the end of these 108 days, my supporters even encouraged me through a 32-hour Guinness World Records™ setting marathon, an experience that has changed me forever. Being a wife and mother has definitely enriched my teaching. Never before have I been so inspired and creative. I feel like I am boiling over with experience and a deeper, calmer insight into the practice. It’s a pleasure for me to teach and share from this place because I know the information and wisdom that was passed down to me benefits others as much or more as it has benefitted me and my family. Thank you for your interest in my journey. Looking forward to sharing a practice with you soon.